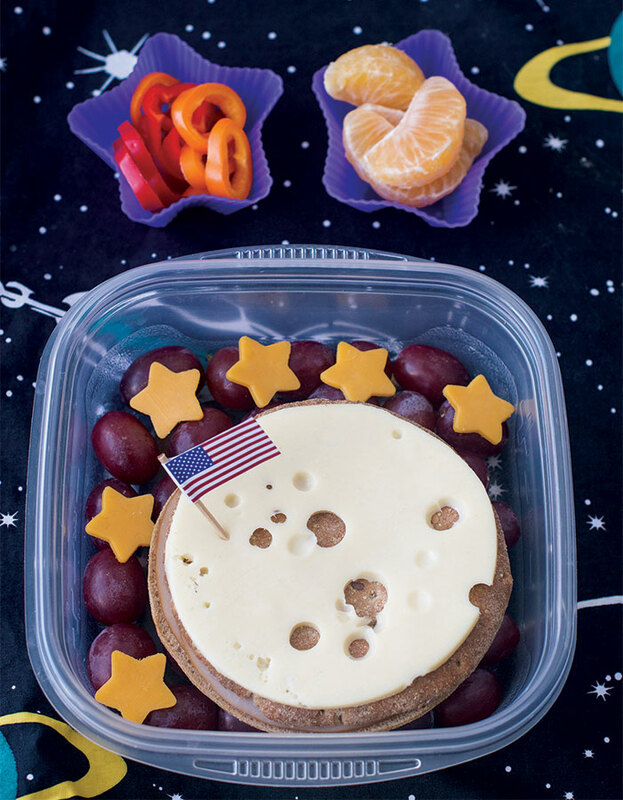 This lunch is out-of-this-world! Your children can create the star shapes using a cookie cutter. 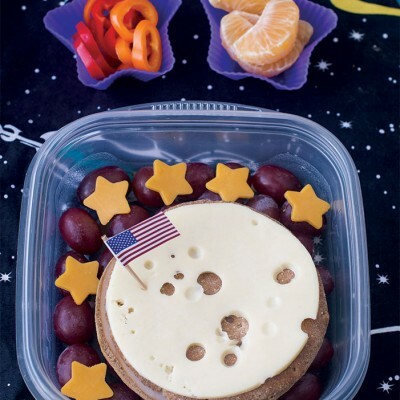 For additional kid-friendly meal ideas, visit poweryourlunchbox.com. Lay cheddar cheese on cutting board. Using a small star cookie cutter, cut out stars. Add to space around moon.